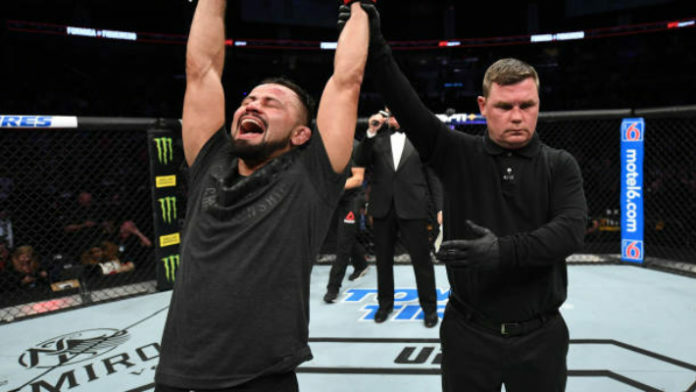 Jussier Formiga made a statement at UFC Nashville, but it won’t be enough for him to get a crack at Henry Cejudo immediately. Last night (March 23), Formiga went one-on-one with Deiveson Figueiredo on the main card of UFC Nashville. While Figueiredo was the favorite, Formiga certainly wasn’t viewed as an easy task. Formiga proved just why with his one-sided unanimous decision victory over Figueiredo. Cejudo was already a flyweight title holder, but his stock soared when he finished former bantamweight champion T.J. Dillashaw. While it looked like Cejudo vs. Dillashaw II at 135 pounds seemed to be next, Dillashaw failed a drug test and vacated his gold. Do you think Jussier Formiga is being dealt a bad hand?